Everyone doesn’t want their things to be stolen; that is why they safeguard their homes with various security methods. The most effective way at present is to install a home alarm system in your house. Albeit CCTV cameras are also a good security option, you will need a security feature that would be able to prompt you when unpermitted entry occurs; thus alarm systems are much better. The current market allows you to find a wide range of alarm systems that can be easily installed personally by homeowners. However, most of such products don’t have a long working lifespan wasting much of the money you invested. In order to make sure that you get the value of what you pay for, seek services from legitimate security system providers in your area. In the case of Sydney, Complete Alarms is a great option. System packages at Top Smart come in three different combinations and numbers of alarm hardware and software. The set-ups are developed putting into consideration the size of the house and the overall cost-efficiency. Alarm set-ups can be done wired or wireless. Wired connections basically involve cables running through every device included in the system. This may hurt the interior of the house a little bit, but you can be rest assured that the installers are instructed to make the system less obvious as possible. Wireless systems on the other hand make use of battery-powered transmitters. This type of set-up may be more high tech but it is less pricey in terms of start-up costs. If you have a house with several floors, wireless systems are the best choice. What’s great about systems installed about firms is that you aren’t held responsible when the installation goes wrong. Although such cases rarely happen, if it does you don’t get in trouble for it and there’s no need to pay for additional costs. Complete Alarms guarantees you with only high quality hardware that is proven to last for a long time. 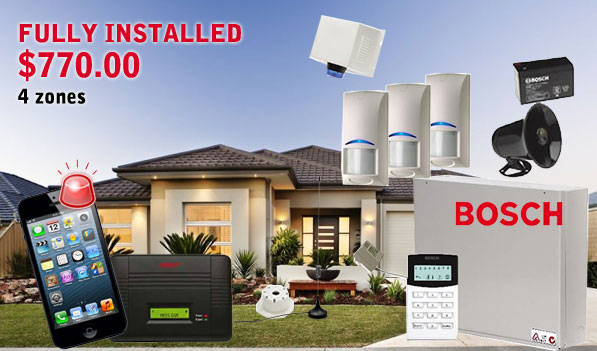 You don’t have to confuse yourself about where to get your home alarm systems in Sydney. At Complete Alarms, you get proper expert consultation on your home security issues, a range of applicable security systems all with reasonable prices, plus a trained working staff that would guide you throughout the processing of your purchase, installation and early maintenance.